Bank Cleaning Services in Coimbatore Cleaning services for Bank Pest Control Services for Bank Commercial Cleaning for Banks & Financial Institutions The banking world is competitive and fastpaced, and customers often struggle to see any real benefits in one bank over another. At Total Hygiene we understand this environment and how the little things, like a professionally maintained banking facility, can be crucial for locking down new accounts. 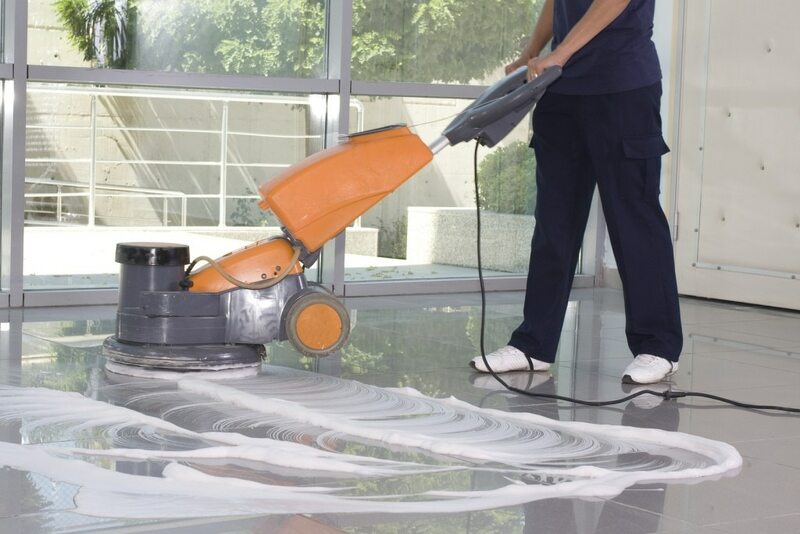 Our Janitorial Services for Banks Whether in the waiting room or parking lot, your Total Hygiene operator and the whole THS team support your mission with seamless commercial cleaning and specialized services and benefits for your bank. Cleanliness within a 25 foot perimeter of the bank Entrance door glass Check writing counter tops General cleaning – offices, lobbies, waiting areas, break rooms Maintenance for resilient and non-resilient flooring Hardwood floor maintenance Office and cubicle cleaning including phones and exposed surface disinfection Shampooing carpets using various techniques Interior and exterior window cleaning Cleaning of break rooms especially, microwaves, refrigerators, and coffee makers Dusting and wiping display cases and kiosks ATM cleaning Upholstery cleaning Green cleaning according to LEED standards Commercial cleaning and disinfecting of lavatories Provisioning of all general lavatory supplies Parking lot sweeping and power washing Uniformed day porter services Special event clean-up Total Hygiene has set the standard for commercial cleaning of banks, with our: 	Proven quality control processes 	Documented procedures and check lists 	Commercial cleaners – uniformed with badges 	Background checks 	Key processes 	Insured and bonded 	Ability to start regions simultaneously We know appearance matters and THS cares about the image of your facility. When your clients walk through your doors, you want them to enter a banking facility that is fresh, clean, and sanitary. Your setting may be their first impression, and you want it to project a crisp, healthy image of professional competence. THS trains teams to help you create that first impression and make it a lasting one. To request a cleaning service proposal or additional information, please contact us today by calling 99947 69966 or filling out this brief request for proposal form. We Understand Your Financial Institute’s Cleaning Needs To support any of your facility needs, THS is ready to provide solutions. CleanNet has developed specific solutions for banks, including on-demand janitorial services and on-demand pest control and removal services for standalone remote ATMs. . You will have highly motivated cleaning professionals and THS’s experienced quality assurance representatives program to ensure your complete satisfaction with all of your cleaning needs, including: General cleaning – offices, lobbies, public areas Detailed elevator, escalator cleaning Maintenance for resilient and non-resilient flooring Marble Tile Terrazzo Ceramic Granite Concrete Stripping, waxing, and buffing floors Hardwood floor maintenance Shampooing carpets using various techniques Interior and exterior window cleaning Commercial cleaning and disinfecting of lavatories Provisioning of all general lavatory supplies Upholstery cleaning Recycling services Uniformed day porter services Parking lot sweeping and power washing In addition to customized cleaning services, THS provides facility service supplies, consumable supplies, power washing, parking lot sweeping, and handyman services. THS is a solutions-based supplier and will develop on-demand solutions to meet your facility needs. TOP 10 PEST CONTROL TIPS All pest animals and insects have three things in common; they must have food, water and harborage. If you can take away one or more of these, you can “stress” the pest and force it to move. Sometimes, due to the natural environment this is not possible, but you can still do things to discourage pest activities. Familiarize yourself with the more obvious signs of pests and do the following: TIP 1 Inspect your roof for leaks and make sure that all your gutters and downspouts are in good working order and that splash blocks and pipes divert water several feet away from your foundation. TIP 2 Prune all your trees back at least several feet from your roofline and trim bushes one foot from your exterior walls, porches, garage, carports, outbuildings, etc. “Shape” your bushes at the bottom to allow air circulation around your home or business adjacent to your foundation. TIP 3 Make sure that there is no standing water collecting in or adjacent to your crawlspace/foundation. Often a crawlspace is lower than the surrounding exterior grade and it acts as a sump allowing water seep in. Correct the exterior drainage or install a French drain and pump on the inside if necessary. TIP 4 Make sure your foundation vents are secure and operating correctly for ventilation. If your ground is naturally damp in your crawlspace install a plastic vapor barrier to reduce airborne moisture. Make sure your crawlspace door and all other doors and windows are “tight”. TIP 5 Do not stack or store firewood, building materials and other items against your foundation. This will provide food for wood destroying insects, capture water and provide harborage for all types of pests. Seal obvious construction and utility gaps in your foundation. TIP 6 Don’t allow standing water to buildup in unused pots, containers, boxes, etc., take old tires to the dump. TIP 7 Secure and latch all your garbage containers and store them several feet away from your home or business. Make sure that you have your garbage removed from your home and outside containers regularly. TIP 8 Clean any food debris from your food preparation and eating areas as soon as possible. Rinse and clean dishes, pots and pans, etc. daily. Store your food properly in original containers, plastic containers, refrigerator, etc. TIP 9 Do not leave pet food exposed on the outside continually. “Train” your outside animals to eat once or twice a day at certain times, then remove the food and store it in a hard plastic or metal tamperproof container. If inside pests (ants, mice, other insects) are attacking pet food inside, follow the same procedure. If you are feeding wild birds and squirrels in feeders on the outside and other animals become pests; remove the feeders for a few weeks so these unwanted pests will move on. TIP 10 Contact a professional pest control company who has ongoing state certifications in pest, termite and wildlife control to perform a thorough inspection and make recommendations for you. Check their resume – how long has your service person been on the job? What certifications and licenses do they personally have? Ask for references from clients with similar problems. Check with the Better Business Bureau and consumer rating services like Angie’s List. Do they have the proper business licenses and are they insured? What type of warranties do they offer? How long have they been in business? Are they locally owned and operated? Are the office and in field staff courteous, friendly, responsive and knowledgeable? Do they come when promised? And finally, did they solve your problem? Best Cleaning and Pest control Services in town Total Hygiene Services is a licensed, and certified cleaning, Pest control company located in Saravanampatti, Coimbatore. If you’re looking for the best in the business, look no further! We’ve got it covered. Experience & Integrity Since 2010, our priority has been to create lifelong clients through integrity, industry experience, and certified cleaning and Pest control. We promise our customers unequaled personal service – delivered with enthusiasm and integrity. Healthy Environment. 100% Guaranteed. We stand behind our work 100% and guarantee your satisfaction. For immediate service and a deep, healthy clean, give us a call at +91 9994769966 or request a free estimate online. Rodent Control Services for Restaurant, Hotel, and Food Industries WHEN IS RODENT SEASON? Rodents are active year-round, unlike many pests. However, there is usually an uptick in rodent infestations as temperatures cool every fall and winter. This is because these frightening pests are looking for shelter from the cold temperatures where they can also get quick access to food and water. The best way to avoid rodents year-round is with a year-round pest control plan that will regularly check for entry points along with a variety of other prevention methods. WHY DO I HAVE RODENTS? If rodents have made it inside of your property, they have found an entry point and have likely discovered food or water along with the shelter you’ve provided them. And they breed quickly meaning just one rodent can quickly turn into an infestation. These pests hide in a variety of areas including behind walls, in crawl spaces, attics, dark corners of cabinets, and even behind large appliances like an oven or fridge. ARE RODENTS DANGEROUS? Rodents can not only damage belongings, they can also carry a variety of serious diseases. These diseases put you and your family at serious risk. Along with that, rodents can track other pests like fleas and ticks into your home opening you up to a variety of other disease and risk factors. Needless to say, rodents are dangerous to your home and your loved ones and should be handled by professionals. HOW TO GET RID OF RODENTS? Because rodents are nocturnal, eliminating them from a property often proves difficult. Many homeowners attempt bringing a cat home, however, many are surprised to learn that cats are sometimes afraid of the quick moving pests and want nothing to do with them. Then they turn to trapping, however, without extensive knowledge of how to track them, their habits, and more, it can easily become more difficult than you originally thought. That’s when they realize, it is much easier to call American Pest whose staff has been extensively trained to know the best tactics to eliminate rodents. If you are tired of an ongoing battle against rodents, contact us today and let us take the stress off of you! For Best Rodent Control Services Mobile 99947 69966.